if not every, sci-fi film, cartoon, or live action animation that has anything to do with the notion of robots. TV and movie robots never seem to disappoint us. 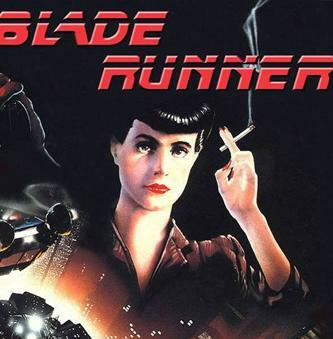 Even Pinocchio, a simple wooden puppet on strings, shares the same dream as that of replicants Zhora and Rachel in Blade Runner, to become a real, live human. This recurring robot theme is used in many children cartoons, perhaps the most popular of which is the Japanese manga, “Astroboy,” later developed into a television cartoon series. Astroboy is the tremendously powerful child robot created by Doctor Tenma to replace his son Tobio, who was killed in a car accident. Set in a futuristic world where robots coexisted with humans, “Astroboy” deals with weighty moral issues that could arise from such a system: robot-hating humans, robots going berserk, and of course, robots with the ability to think and feel like a real person despite their form. Astroboy was both a TV and movie robot. Click HERE to read more about CARTOON ROBOTS. 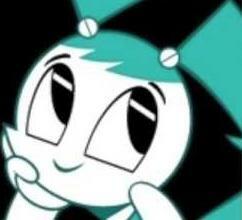 Nickelodeon channel’s X-J9 also known as Jenny Wakeman from the cartoon “My Life as a Teenage Robot” could very well be Astroboy’s Western counterpart. She is a state-of-the-art automaton designed and created by Dr. Noreen Wakeman to be Earth's protector, but despite her wide arsenal of weapons, devices and transformations, she desires nothing more than to live the life of a normal teenage girl. Jenny is one of those TV and movie robots that is waiting for her first full-length motion picture. 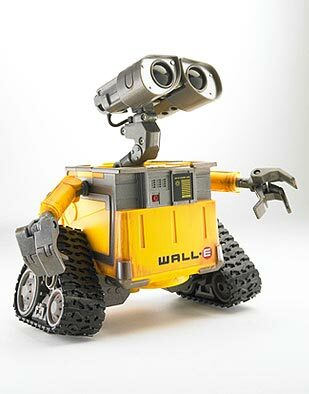 Other popular robots in the world of animation are Pixar’s Wall-E and Eve, who do not outwardly show signs of wanting to become human, but are apparently able to feel human emotions, like friendship and love. Twentieth Century Fox’s “Robots” is more obvious, filled with talking robot characters that have dreams, conflicts and resolutions. No less memorable are Rosie, the Jetson’s outdated but greatly endearing robot maid, and Bender, the heavy-drinking, cigar-smoking wise guy ‘bot in Matt Groening’s “Futurama,” both of whom, needless to say, exhibit extremely human-like traits. And as real-life robots continue to evolve, so do cinematic effects. The robot theme is just as popular in live action films, which the older audience loves just as much as the younger ones. Popular films include the “Terminator” series, set in a post- apocalyptic America where artificially intelligent assassin cyborgs go back in time to wipe out the entire human race. 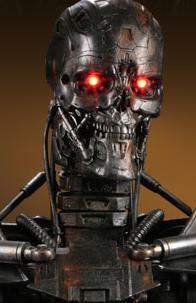 That makes the Terminator series both a TV and Movie robot. Another film based—although loosely—on another of Asimov’s works is “I, Robot,” about a human-like NS-5 unit named Sonny who might have broken these robot laws when it becomes a suspect in the death of a famous robotics scientist. These laws are also crucial in the plot for “Forbidden Planet,” a 1956 film which turned its character, the nearly 7-foot tall Robby the Robot, into a well-loved science fiction and fantasy icon. 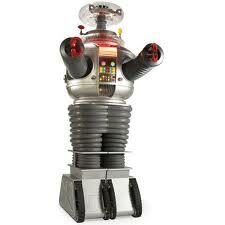 Other famous robot icons include the metallic gray robot in the TV series “Lost in Space” known to it’s co-stars as “the Robot” and to the online building club, "B9". 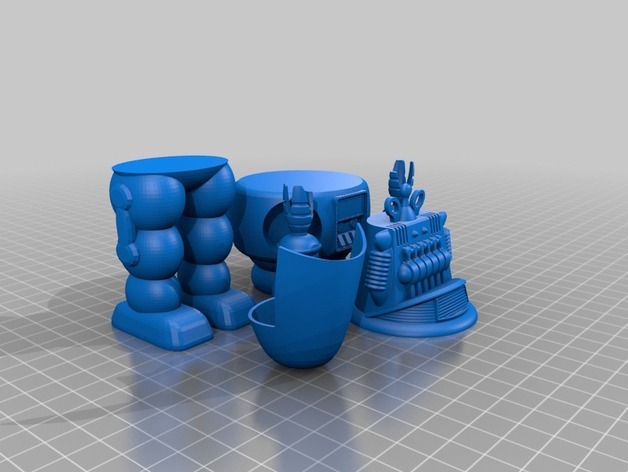 Although the two robots, Robby and B9 have little in common, these robots are often mistaken for each other. In one episode the two robots, B9 and Robby fight a deadly battle. A curious fact is that they were both designed by TV art director Robert Kinoshita. In the TV show "the Robot" B9 became friends with the character Will Robinson who was played by Bill Mumy. In times past it was a "boy and his dog" but here it was said to be a "boy and his robot." Bill then went on to do many other sci-fi TV shows. Now, technically "the Robot was both a TV and movie robot, but the movie robot, and there were TWO different versions in the movie, were very different than the one that was on television. And finally, as no self-respecting robot list could exclude this strange but heroic duo, there are R2D2 and C3P0 from the epic space opera and global cultural phenomenon, “Star Wars.” Being both in the movies and on several cartoon TV series, this makes R2 and 3PO both TV and movie robots. As for me, it’s difficult to say which robot I like best, having grown up with and known practically all the robots, cyborgs and ‘droids—hero or otherwise—mentioned here. Click HERE to read about R2D2 in detail. Suffice it to say that I may be more excited with the prospect of these robot-themed plots actually occurring in my lifetime, when Isaac Asimov’s Robotic Laws are actually challenged and where mighty “childbots” are programmed to ward off evil assassins from the future. A frightening and seemingly ridiculous prospect, perhaps, but remember, just a few decades ago, nobody but the craziest sci-fi writers and fans even dared to dream that one day real robots would walk the earth. And before we end this article, I would like to talk about a robot modeled after a movie and singing star. That person is Elvis Presley. The Wowwee Robotics company created the above pictured state of the art animatronic doppelganger of Elvis. This robot “clone,” if you will, sings, chats—or should I say “babbles,” turns to look at you and follows you if you are close. His eyes blink, look left, right, up and down. His eyebrows go up and down. His head turns left and right as well as leans front, back and side-to-side. And his LIP TWITCHES like the original Elvis. Talk about your “uncanny valley,” this android has very life-like, nearly human skin and hair. If it wasn’t for the noise of his motors working his expressions, you would swear he was alive. Some people have hacked him. We at Robots and Androids have figured out how to control all his motors with a computer— a “micro-controller” to be exact. 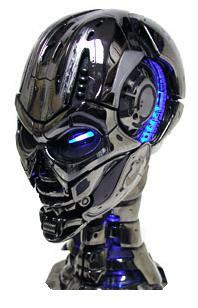 This robotic head is THE state of the art in home robotics. It is just simply amazing. And that sums it up for TV and Movie robots! Click HERE to Read about Star Wars - Robot Chicken!